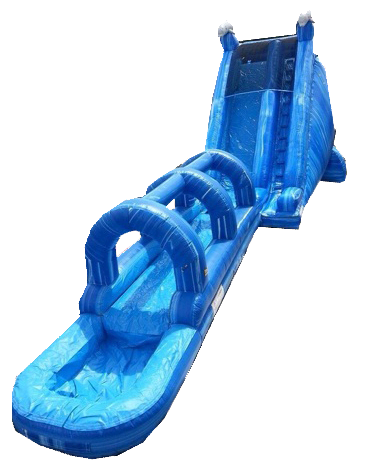 This 22ft Dolphin Slide and Body Combo is a monster slide...22ft tall with an attached slip and slide that you end up in a pool. This is one of our most popular units. Recommend 3 kids at a time, one sliding, one climbing and one entering. This unit must be staked or tied off for safety, otherwise water barrels must be ordered.